Flash My Brain - Take your flashcards with you on your iPod, smartphone or PDA. Take your flashcards with you on your iPod, smartphone or PDA. 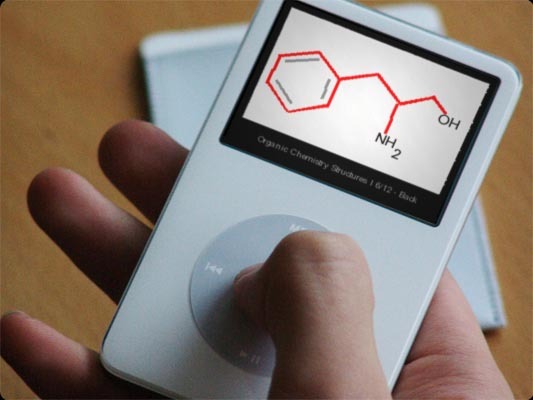 Flashcards for your iPod. Easy. Flash My Brain makes it incredibly easy to put flashcards on your iPod, smartphone, or PDA. 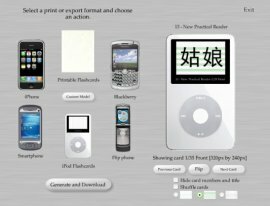 Images, non-Latin scripts, Asian languages, drawings -- it can recreate your flashcards exactly for your iPod. Flash My Brain will even shuffle them for you to help challenge your memory. 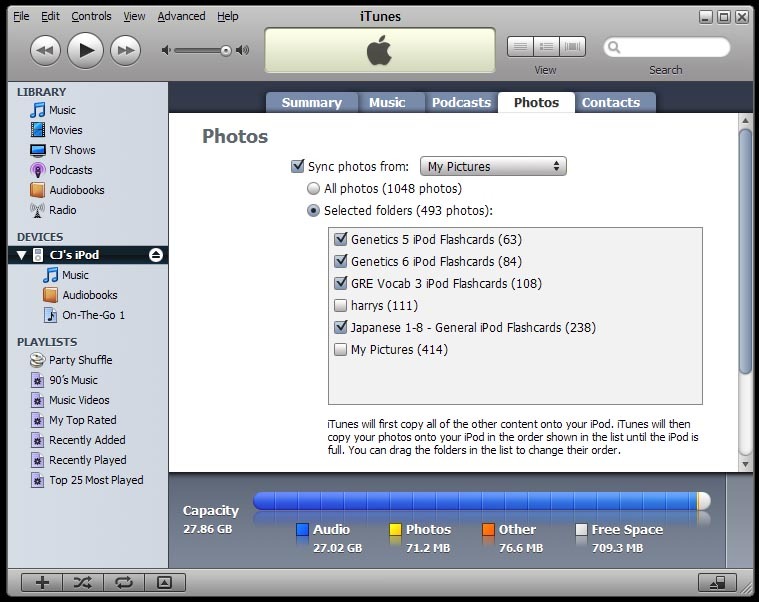 If you can put photos on your iPod or cell phone, you can put Flash My Brain mobile flashcards on your iPod. Click the pic to get a better view of what it looks like in iTunes. Of course, Flash My Brain for the iPhone is the ultimate way to study your flashcards on the iPhone or iPod Touch. Choose from the 100,000s of cards in the online library and download them anywhere, any time. Or transfer your cards, rich with audio, images, and/or whatever language you're studying today, and have boxes of flashcards in your pocket...in your phone! Flash My Brain mobile flashcards even work while you're listening to your favorite playlist. 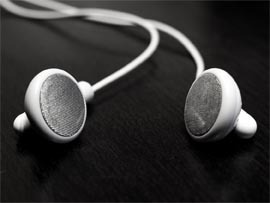 Jam to your tunes on the bus to school while you review for your upcoming quiz! Buy Flash My Brain for $29.95. Flash My Brain helps you study just about any language, any content, any subject, any time. 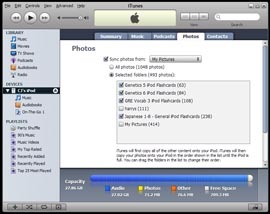 For those of us without iPods, or those who would rather study on their PDAs, smartphones, or alternative MP3 player, Flash My Brain mobile flashcards will work just as well as long as you can upload photos to your device. Flash My Brain mobile flashcards can be unpacked and uploaded just like your vacation photos. For more information on your specific devices functionality, refer to your device's documentation.